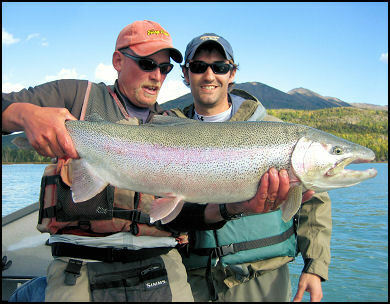 If you are thinking about Alaska trout fishing, then you know you have many options. 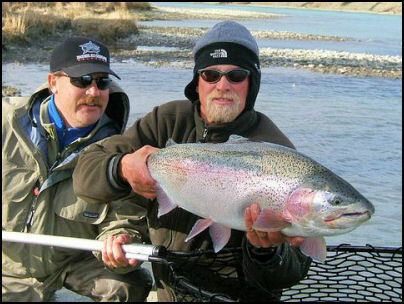 The fabled waters of Bristol Bay and the Iliamna drainage support many trophy rainbows. Premium lodges offer fly-in trips with steep price tags, but if you can afford to go, by all means give it a try. Outfitted rafting trips or tent camps are more economical for hardier anglers, and do it yourself rafting trips can offer experienced outdoorsmen a fantastic experience. The road system also offers some options. 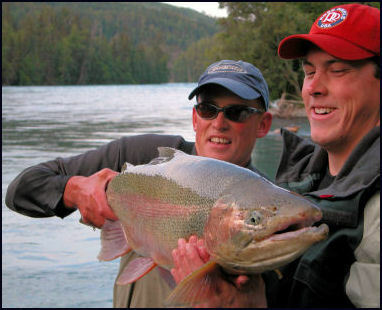 The Kenai River supports some of the largest trout in Alaska, has a long season, and offers very consistent trout fishing through a broad range of conditions. If you do take that special trip to the Kvichak, Naknek, or other remote trophy trout river, you can still plan a day or two on the Kenai. The Kenai is easy to access from Anchorage by rental car, and there are plenty of accommodations to choose from. 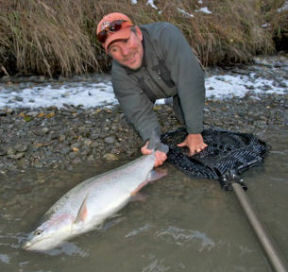 Many folks who fish around Alaska either add the Kenai to their yearly itinerary, or make it their sole focus on future trips. It is that good. Flowing from 20-mile long Kenai Lake to Cook Inlet, the Kenai River drops 430 feet on its 82-mile course to the ocean. The 17 miles of river from Kenai Lake and the little town of Cooper Landing, to 15-mile long Skilak Lake, is known as the "Upper Kenai". This section is where much of the fly-fishing takes place. From the confluence of the Russian River, and onward to Skilak Lake, the river is entirely within the boundaries of the Kenai National Wildlife Refuge. The Upper Kenai is drift only (no power boats). This adds immeasurably to the quality of the experience. 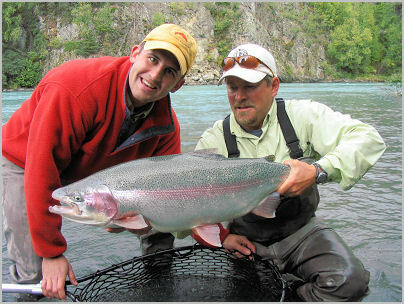 The general trout season opens June 11, and fishing can remain strong well into October. The Kenai River flows from Skilak Lake for fifty miles before emptying into Cook Inlet. The first five miles are still within the Kenai National Wildlife Refuge. It starts out wide and slow, providing excellent summer habitat for loons, nesting swans and juvenile salmon. As the river picks up speed, so does the fishing. While drift boats are common, motors can be used below the lake. This can mean easy access to some fantastic fishing stretches, but also more crowded conditions at times. Despite the pressure though, fishing the Middle Kenai, when the big trout bite is on, can provide a lifetime of big trout memories. There are also times when the majority of boats are fishing the Lower River for salmon, and boat traffic on the Middle can be very sparse.